Be your best! 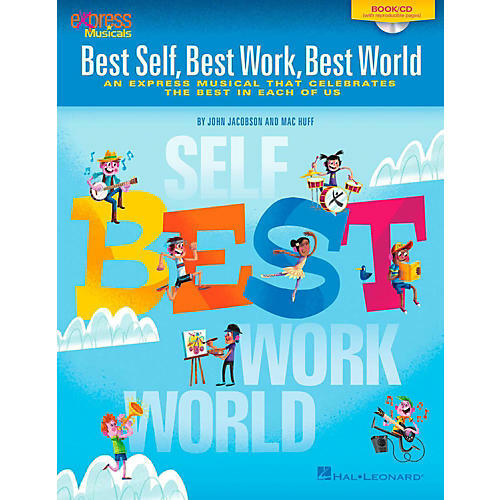 Today we celebrate our best selves, our best work, our best world! Join us as we dedicate ourselves to always try to take the high road, and treat our friends, family and even strangers with courtesy and respect. To be a real champion means to share the gold at the end of our rainbow so that everyone gets a chance to be their best! This all-in-one collection comes complete with fully accompanied songs, choreography, reproducible singer sheets, and short connecting narration for a variety of performance options. The enclosed CD features recorded voices for rehearsal, and professionally-produced accompaniment tracks to showcase your singers on stage. 25 minutes. Grades 3-6.